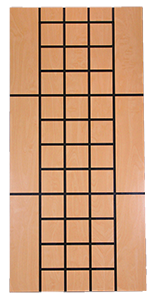 Wind Mill Slatwall Products manufactures custom slatwall, retail display panels, fixtures and a vast array of wood component parts. When your project requires a custom solution, we excel at offering the support of prototyping, first article production, project management, scheduling and delivery solutions. Wind Mill is recognized for its quality standards, on-time delivery, extraordinary customer service and a nationwide network of authorized distributors. At Wind Mill, we work hard to set the standard and go beyond. At DisplayMax Merchandising Services, we provide a full range of solutions to retailers from merchandising resets to product rollouts to display installation and complete store remodels. Wind Mill Slatwall Products is a key partner in the success of our company. We are currently performing floor-to-ceiling remodels in a chain of welding stores. Wind Mill has provided critical solutions for our merchandising fixtures that have stretched the budget, saved countless man hours and the stores look great. For more than a decade, Nelco, Inc. has continued a successful partnership with Wind Mill Slatwall Products. Wind Mill’s dedication to their product and customer service has enabled Nelco to provide our customers with the same outstanding service. Wind Mill has always been ready and willing to go the extra mile on a consistent basis to meet Nelco’s needs. Their product has been superior and the employees at Wind Mill truly care about their customers and their needs. Nelco has been very fortunate to work with Wind Mill and looks forward to many more successful years of doing business together. It’s been a great experience working with Wind Mill. I have been with Amstore for many years and have watched Wind Mill develop into a stellar supplier. Last year Amstore was awarded supplier of the year from two major retailers, JC Penny and Kohl’s. You cannot earn these awards from your customer without a great supply base and Wind Mill clearly stands at the top. I know I have asked Wind Mill to do the impossible many times, and they have always gone to great lengths to satisfy Amstore. We are often asked to provide product, or quotes in an extremely short time frame, and Wind Mill has partnered to meet our customer demands time after time. Wind Mill’s quality has been great as well as their on-time delivery performance. Wind Mill has very high goals for customer satisfaction and has outperformed their competition. That’s what makes Wind Mill so special. I look forward to Wind Mill’s continued success as one of Amstores special suppliers. Versatek’s relationship with Wind Mill dates back to January of 1999. We are a make to order business so our purchase orders with Wind Mill can range from fifty pieces to blanket orders with quantities in the thousands. We also expect components of the highest quality standards, produced on time and at a price that allows us to meet our customer’s demands. Regardless of the size of the order, Wind Mill has consistently met, or exceeded those expectations. Perhaps the best measure of a quality supplier is how they perform when things do not go exactly as planned, and I can attest that Wind Mill’s customer service team is personable, professional and ready to assist in solving any problems that may arise. It has been a pleasure to work with the entire Wind Mill team these past ten years, and we look forward to many more opportunities for successful partnerships in the years ahead. For the past fifteen years, we at Paz Systems have relied on Wind Mill as a primary source for our panel needs. 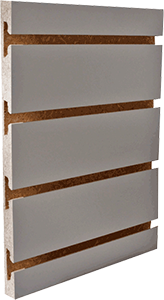 Our retail display wall system, Pazwall™, demands that panels be manufactured to exact specifications in a variety of sizes and finishes. Wind Mill’s precision enables us to consistently deliver a quality product to our customers. Just as important is Wind Mill’s commitment to prompt and attentive customer service. Contrary to the prevailing we’ll get to it when we get to it attitude of all too many companies, Wind Mill always tries to accommodate the time-sensitive nature of retail store construction. We are proud of our long-standing relationship with Wind Mill and look forward to a bright future working together. Matthew Wenzel, Paz Systems, Inc. When push comes to shove, having the right supplier do what you need done can make the difference in keeping (or losing) a customer. Wind Mill works to help us keep our customers. Our long-term relationship with the folks at Wind Mill is a partnership, really, because we listen to each other. They know and we know that it’s a two-way street to keep cost and service in balance. And, I believe they care about who we are, how we do business and that we continue to be successful. It’s the same business philosophy we have with own customers, and that’s why our relationship with Wind Mill works! For Palmer Promotional Products, Wind Mill was instrumental in the development of a new product line we produce. For many years we sold Slatwall only in our displays. 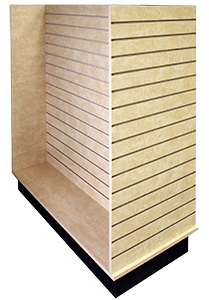 We wanted to refresh the look of the displays with Cubewall, so in May of 2007 we contacted Wind Mill regarding the Cubewall they offer with the painted grooves. This was exactly what we were looking for. We have put Wind Mill under pressure for short lead times since it can be very hard to predict our demand, and they have always met the challenge. Their inside and outside sales staff have gone the extra mile to make sure we are getting the correct product. Many of our sizes are similar, and they have a file with prints to double check each order. It is a pleasure to work with a company like Wind Mill, who is as dedicated to customer service as we are. It helps us keep our promise to our customers. We look forward to continued growth and know that Wind Mill will be an important part of our success.